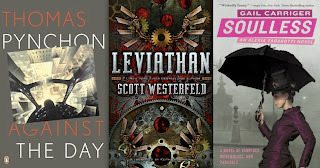 So last week I featured a list of Steampunk books as recommended to us all by the Steampunk Scholar aka Mike Perschon. And today, I am posting an interview he was so kind to do with me. I met the fellow at the Canadian National Steampunk Exhibition and even sat on a panel with him. The man's knowledge of Steampunk is impressive. And it ought to be, considering he's doing his PhD on the subject. But I digress. Here's the interview. Do check it out, I think his answers are just fantastic. I’d heard the term in a few different contexts, but my current interest resulted from choosing a topic for my doctoral dissertation. I was either going to do Nine Inch Nails’ Year Zero as dystopic intertext, or steampunk. My Master’s advisor said, “Dystopia’s been done to death, and if you do steampunk, I’ll be your advisor again,” which really decided it, because we have a great working relationship. You have a very specific definition of it, briefly what is it and how did you come up with it? I speak about steampunk as an aesthetic that gets applied to other genres. The steampunk aesthetic combines a Industrial Era look or feel (neo-Victorianism) with a postmodern view of the past (retrofuturism) and technology that has the appearance of science, but none of the rigor we see in hard SF (technofantasy). Those three things, applied together, produce the look we call steampunk. You are currently pursuing your PhD on the subject, what inspired you to do so and what is your end goal? I was being pragmatic: I wanted to do something fresh, something that didn’t have a wealth of scholarship to compete with. Beyond that, it was a topic I could see myself being interested in for four to six years, which is the estimated length a literary doctoral degree takes to complete. My end goal is really just to get to get the PhD, settle into my work at Grant MacEwan University, and use the four months I get off every year to write fiction and spend the summer with my family. What would you say is the most controversial topic within the Steampunk community? The idea that the “punk” in steampunk constitutes a necessary political position, which I take umbrage with: there hasn’t been a hell of a lot of steam in steampunk, so why is it necessary to have punk? That’s not to say I’m opposed to oppositional politics in steampunk, but it’s exclusionary and somewhat pejorative to say that politically-themed writing is steampunk, and everything else is steampulp. 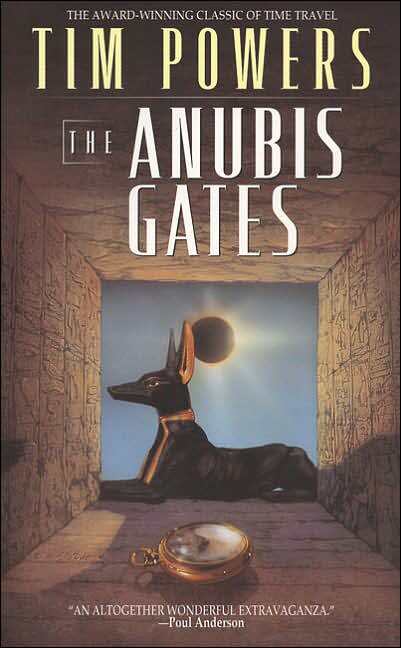 Some of the best early steampunk, like Tim Powers’ Anubis Gates, would be steampulp by that rubric. Does Steampunk hold any kind of "mirror up to nature" and if so, what does that mirror reflect do you think? I think all texts are mirrors of the world, but steampunk’s mirror allows us to see the world with unexplored frontiers again, to respond to cynicism with romanticism, and engage in playful modes of writing, whether the writer’s agenda is serious or whimsical. Where do you think Steampunk is heading? What is its future? I really don’t know. I made some projections a year or so back, and they were largely correct, but I’m hesitant to prognosticate the future of a scene so big as steampunk. As far as the literature goes, my guess is that the future of steampunk is in space. And understand, I’m not saying I think that’s where it should go. It’s just that literary steampunk seems to be asking how to be the next big thing, and since zombies, vampires, fantasy, science fiction, superheroes, pirates, romance, and westerns have all been steampunked, it’s time to go into outer space. 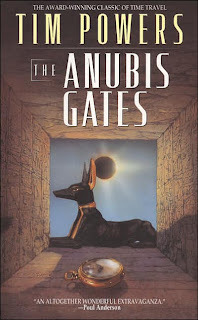 Or maybe inner space – given the roots in the nineteenth century, it’s interesting how few steampunk tales deal with Journeys to the Centre, outside Rudy Rucker’s Hollow Earth and a moment in Thomas Pynchon’s Against the Day. Does it have staying power or is it just a fad? Both. The hype generated by media exposure will die down, but there’s a dedicated core of people who dig steampunk in various ways who will keep the gears turning long past any mainstream popularity. If there was only one Steampunk book you would recommend, what would it be and why? It would really depend on who was asking, since I’ve read enough now to be able to ask a person their tastes, and approximate the best steampunk book to introduce them to the aesthetic. 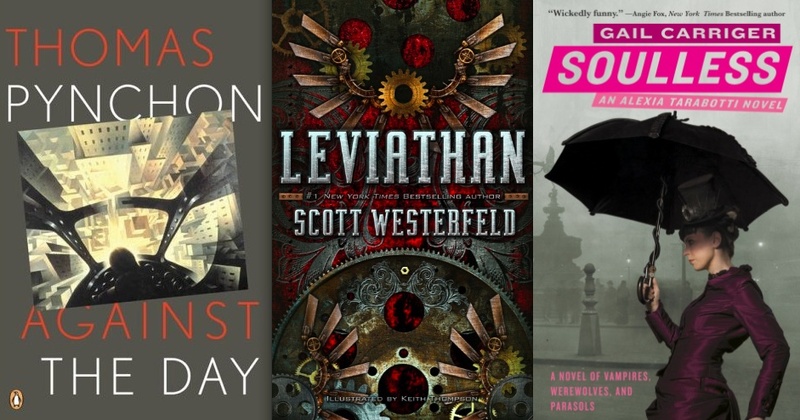 For academic big-heads, I’d say Thomas Pynchon’s Against the Day; for young adults, I’d say Scott Westerfeld’s Leviathan; and for people just looking to enjoy themselves, I’d say Gail Carriger’s Soulless. You've been to many Steampunk cons, what's one of your favourite moments from those events? I can’t do one, but I’ll give you three: receiving my goggles from Legion Fantastique, a Verne-improv group from San Francisco at my first con, reading from Soulless with Gail Carriger at Steamcon II in Seattle, and having Gary Gianni tell me I look like a young Orson Welles at Steamcon III. Carriger and the Scholar reading. What is your favourite personal Steampunk accessory? I have a gorgeous leather slipcase for a writing pad that was given to me by good friends who accompanied me to some cons. It even underscores the aesthetic: the exterior slipcase has the steampunk look, while the interior is a regular coil-bound notebook. The illusion of steampunk, tucked under my arm. 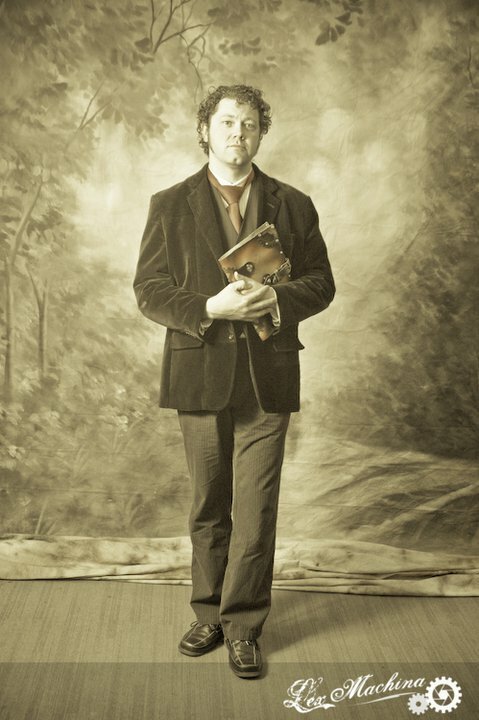 It goes to every con now: it’s the perfect accessory for a guy who calls himself a steampunk scholar.